I chanced upon this little kiosk eatery at the basement of Westgate the other day as I was doing some grocery shopping at Isetan. 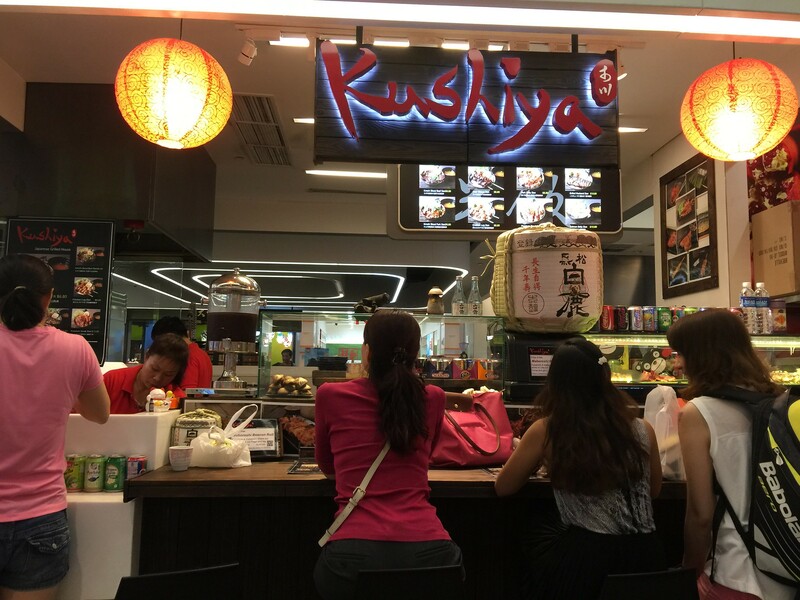 Kushiya Japanese Grilled House has only 5 counter seat at the front of the kiosk. It offers 6 different donburi sets and a variety of skewers to go with the donburi with it. Upon placing the order, the meat is grilled on the spot behind the counter. I had the Premium Steak Don ($10.80) which comes with a drink and miso soup. 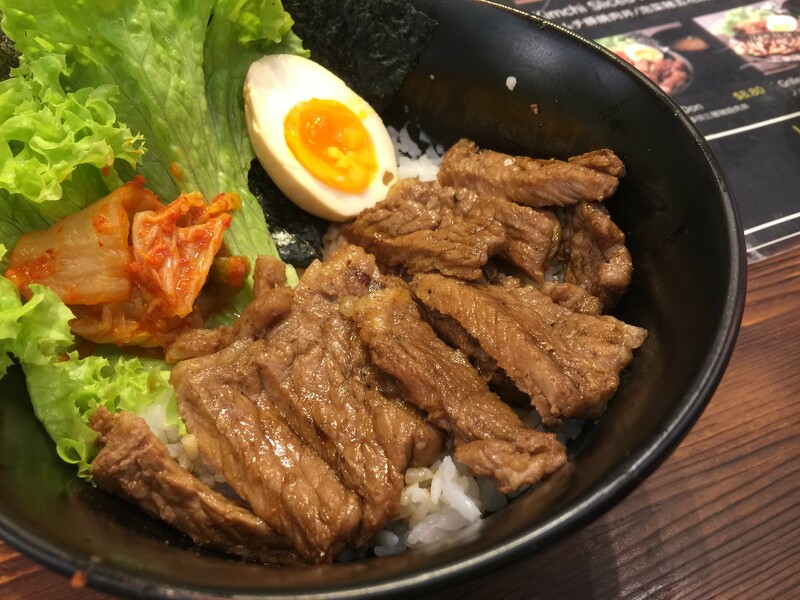 The rice bowl comes with half an egg, kimichi and the beef steak. While the beef steak is a bit tough and may not be the best quality. it is well marinated and flavourful. For the price, I am not complaining too much. My dining partner has the Kimchi Sliced Beef Don ($6.80) which also comes with a drink, and miso soup. 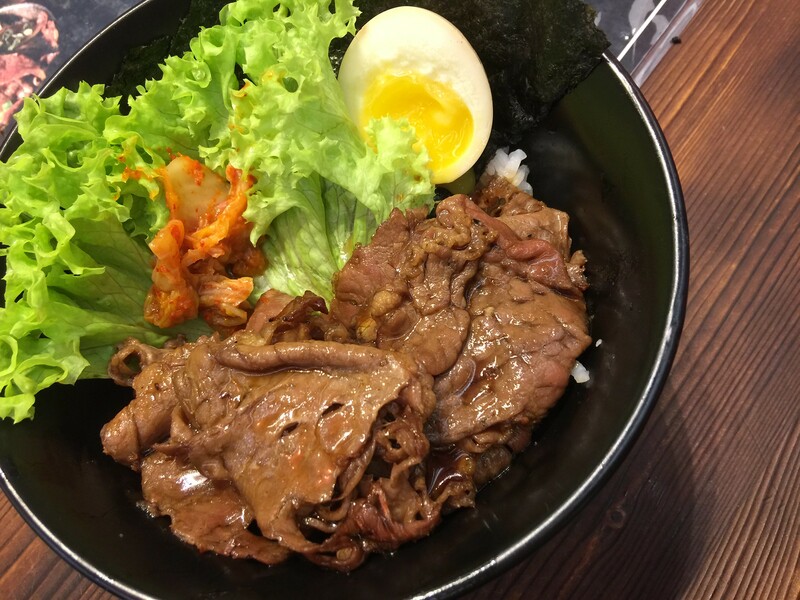 The rice bowl has thinly sliced beef, kimchi and half an egg. Using the same marinade, I find the sliced beef is more tender and enjoyable. More important for the price, this is really quite value for money. Besides the premium steak don and kimchi sliced beef don, Kushiya also offers Pork Belly Don, Grilled Mackerel Don, Chicken Leg Don and Kimchi Sliced Pork Don on the menu. All of them are below $10 except for the premium steak don that is $10.80.